You read correctly. Skin care professionals across the country are utilizing their client’s blood for better skin. By now, most of us are familiar with platelet rich plasma (PRP), commonly referred to as the “vampire facial.” This procedure uses the client’s blood, which is spun in a centrifuge to separate the plasma. The plasma contains platelets that boost growth factors perfect for anti-aging effects, and that plasma is injected into the facial skin. This treatment is seen at spas all over the United States. For example, The Essent Spa at the Radnor Hotel (St. Davids, Penn.) offers both a Blood PRP Facelift (80 min., $3,500) and a Blood PRP Facial (50 min., $900). In a blog post, Ageless Med Spa in Katy, Texas, notes that type A skin needs to be protected, while type B is usually oily. Type O is also oily and easily aggravated, while AB skin should use natural skin care.2 The Cool Spa at Sri Panwa in Phuket, Thailand, customizes a body mask and massage package based on clients’ blood type. For example, exfoliation is the name of the game for type B clients, while O type clients need detoxification. Charcoal (activated, of course) became popular in skin care a few years ago, and masks, strips and scrubs began to proliferate in the market. Charcoal surged for good reason, as the ingredient is found to draw out impurities and bacteria to help fight acne and detoxify skin. It is also shown to help reduce inflammation. Of course, for every effective ingredient, there are always a few DIYers who take it upon themselves to concoct an at-home version of the product they see in spas or stores. Recently, a DIY recipe for charcoal pore strips surfaced that contained charcoal, glue (yes, glue!) and peppermint extract. Takers of this trend have been reduced to tears, some left with skin damage. For clients interested in the benefit of charcoal, point them to the number of professional products and spas that have included this amazing ingredient. Dermalogica offers Charcoal Rescue Masque containing activated Binchotan charcoal to absorb impurities. Daily Concepts has a charcoal version of its Konjac Sponge to exfoliate and detoxify skin. In May 2017, the facial of the month at Ritual Day Spa in Campbell, Calif., was its Purifying Black Mud & Charcoal Facial (60 min., $120), designed to draw out impurities and impart minerals and moisture. At Mario Badescu in New York City, the classic European Facial can be customized with a charcoal mask ($105) to detox and refresh oily skin. 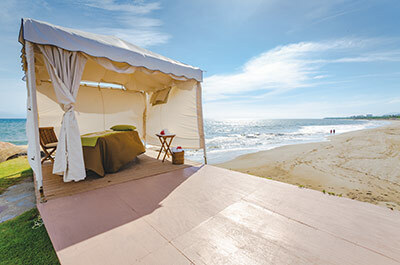 Pop-up spas have been emerging all around the country and serve as a great way for spas to offer mini treatments and promote their products in different locations. This trend follows on the coattails of retail pop-ups, where stores offered exclusive or limited-time only goods. The concept is the same, however, in that pop-up spas should offer something different than their brick-and-mortars to drive client interest in something that is exclusive or for a limited time. Pop-up spas have to be established where there is good foot traffic, or where the targeted demographic will be. For this reason, they are prevalent during events like fashion week and festivals. For example, during Spring 2017 New York Fashion Week, Milk & Cookies Spa and Salon in New York City offered a My Little Pony pop-up spa for little girls (and grown women) in February 2017. Treatments included the Rarity, a manicure package, and makeup application called Pinkie Pie. Tok Sen is a Thai vibrational therapy where a hammer and peg are used to tap the body’s sen lines. Since the body is largely comprised of water, each tap sends a ripple of vibration though the body. The therapy is said to release energy blockages, relax the body, soften the muscles and create a trance-like state. At Sanctuary Camelback Mountain Resort & Spa (Paradise Valley, Ariz.), Tok Sen is performed by a group of elite Sensei Therapists, who have received extensive training above and beyond that of traditional spa professi­onals. We are not talking about champagne here. Rather, we are talking about carbonated or fizzy skin care products, which have arrived on the U.S. skin care scene from Korea amid a number of formulation innovations. Not only do these products introduce micronized ingredients into skin and oxegenate it, but clients love the sensorial action, according to Janel Luu, CEO and founder of Le Mieux and PureErb Cosmetics. She noted, “Bubble masks provide a sensorial quality that is exciting for clients, who rarely have experienced anything like it. It’s a great surprise during a facial: clients feel a playful tickling, an unusual effervescent “crackle, pop” sensation.” Manufacturers have taken notice and are beginning to launch fizzy or carbonated products. Éminence Organic Skin Care launched its Stone Crop Oxegenating Fizzofoliant, which has light fizzing action when combined with water. CBI Laboratories launched its White Charcoal O2 Detox Mask, which infuses oxygen to the surface of the skin with a gradual foaming, bubbling sensation to create a micro massage that cleanses the skin of impurities and toxins. Activated white birch charcoal and natural clays help to remove daily urban pollution. Casmara also has an Oxygenating Mask, which stimulates cellular respiration. Its effervescent foam lather activates, oxygenates and cleanses the skin. An astounding number of women have cellulite—an estimated 80–90% of women depending on what report you read. For a number of years, doctors reported that cellulite was genetic and that there was no treatment to get rid of it. Lifestyle changes such as drinking more water and less caffeine and alcohol as well as topical creams, dry brushing and body wraps helped reduce its appearance but did not get rid of it completely. The industry knew what a pain point cellulite was for many women. In October 2016, the U.S. Food and Drug Administration approved Merz Aesthetics’ Cellfina to treat cellulite for up to three years. The treatment pulls the skin taut with suction to stretch the fibrous bands that cause cellulite. The doctor then targets the bands to release them, and in case you didn’t see it before, the treatment can last up to three years. In November 2016, the FDA also approved Syneron’s Profound for the treatment of cellulite. The modality is a radiofrequency microneedling device, where the needles deliver the radiofrequency to the deep dermis, encouraging production of elastin, collagen and hyaluronic acid. These advancements have taken cellulite treatment in the med spa to a new level, and more innovations are sure to come. Millennials comprise the majority of the U.S. work force, and baby boomers are aging, making millennials the next major set of spa-goers. We all know that most millennials are tied to their smartphone, so we know where we can find them and market to them. Therefore, the question remains, how do you get more millennials into your spa? The answer is #FOMO and #YOLO, or “fear of missing out” and “you only live once.” Millennials are more about experiences than possessions, which is why this type of marketing is perfect for the spa market. Millennials want to be sold an experience, and you have that experience. Craft it wisely, and sell it to them. As a major bonus to this, if they like their experience, they will share it on social media (free marketing!). 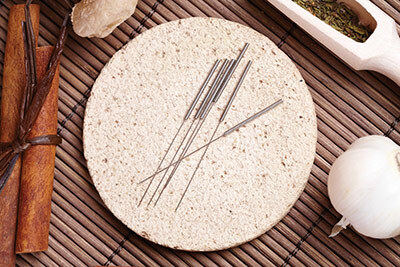 As a form of traditional Chinese medicine, acupuncture is an old practice with some records dating it nearly 8,000 years old. Its practicioners insert long thin needles in points all over the body with the goal of freeing the body’s qi flow and restoring balance. Studies have shown acupuncture to ease pain, reduce anxiety and improve sleep. With growing interest in wellness, medical facilities across the United States have begun to integrate alternative medicine therapies such as acupuncture into their patient care offerings, and spas have followed suit. Spa Space in Chicago has just added a licensed acupuncturist to its staff, offering acupuncture treatments at 60 min. ($110). The White Magnolia Day Spa in Ft. Collins, Colo., offers a Signature Acupuncture and Alternative Medicine Session (60 min., $75). Spa chain Exhale offers a number of acupuncture treatments, one being Acu-Organ Detox, where acupuncture is paired with abdominal massage to cleanse and detoxify the digestive system (30 min., $105/60 min, $155). Stress rates are rising. People aren’t sleeping enough. Spas in the United States (and around the world) are looking for better ways to help clientele sleep better and combat stress for improved wellness. Luckily, Ayurvedic medicine and traditional Chinese medicine found the answer a long time ago when they identified adaptogenic herbs. These herbs regulate hormones in the body to help it deal with stress. They also have other health benefits such as improving mood, increasing endurance and bolstering the immune system. There are a number of them, but some worth noting are holy basil, ginseng (Asian, Siberian and Indian varieties), gotu kola, moringa, licorice root, maca and aloe vera. 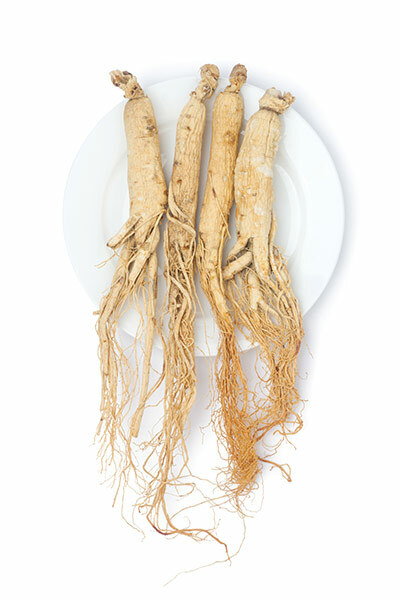 When ingested through supplements, these herbs are found to improve health and even skin. While the greatest benefit is through ingestion, the herbs also offer some of the same benefits to skin when applied topically. Sound has always been an important part of the spa experience through music and nature, but it has begun serving an even bigger role in recent years. Spa equipment manufacturers are utilizing the benefits of sound in new launches, and spas are offering sound therapy treatments in rising numbers. Last year, Spa Club Ideations launched the SolTec Lounge, a lounger that synchronizes music with vibrations and an energy field to stimulate greater expression of the human energy system. Living Earth Crafts also offers the Sonora Sound Table, which sends soundwaves through the clients body for deeper relaxation and healing. U.S. spas are also getting in on the sound vibration train. Miraval (Tucson, Ariz.) recently launched Vasudhara, a water treatment that combines Thai massage with vibration from underwater speakers. Of course, sound therapy doesn’t have to be high-tech. In fact, more traditional methods are among the most popular, often employing singing bowls, turning forks and percussion instruments. At the Standard Spa in Miami, the Sound Healing Massage (90 min., $235/120 min., $285) pairs the gentle vibrations of crystal singing bowls with a customized massage for body harmony and well-being.